Introduction: Asthma is a chronic inflammatory airway disease. It occurs in a ‘severe’ form in about 8–10% of asthmatic patients. In the last decade, the development of biological drugs (e.g. monoclonal antibodies) allowed to efficiently approach severe asthma. The current therapeutic targets available are mainly those related to TH2 inflammation. Areas covered: The main pharmacokinetic and pharmacodynamic characteristics of the monoclonal antibodies against IL-5, IL-5Ra, IL4-IL13, and IgE, that are currently marketed or understood for severe asthma are discussed in this paper. 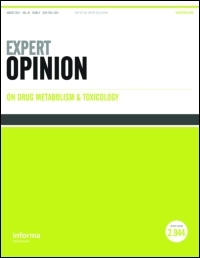 Expert opinion: The currently available biological drugs represent an excellent therapeutic add-on to traditional drugs, especially in replacing systemic corticosteroid therapies. The different pharmacokinetic and pharmacodynamic characteristics of the drugs, despite sometime sharing the same target, would allow a better personalization of the therapy, tailoring the treatment to the characteristics of the patient.